Each year, the fourth Saturday in October is celebrated as Make A Difference Day. Since starting in 1992, Make A Difference Day has now grown into one of the biggest nationwide days of service. No matter what you’re passionate about, you can do something today to get involved and improve the lives of others in your community. If you want to get involved with ongoing projects or start your own project, the Make A Difference Day website has all the resources you need to get going! Make A Difference Day is also a fun time to get creative and come up with your own way to give back to others. If you’re looking for an easy way to do something special, or maybe you’re looking for ways to give back on top of volunteering today, consider a car donation! An old car might not seem like much, but it can do a lot of good for kids in your community when you donate it! When you donate a car to Wheels For Wishes, the proceeds from selling your vehicle are given to local chapters of Make-A-Wish. You will feel great knowing your donation helps provide important funding for all of the great work children’s charities like Make-A-Wish do in the community! A car donation to Wheels For Wishes also comes with a lot of perks for you. Holding onto an old vehicle might seem like the easiest option, but you can actually save a lot of space, time and money by just donating it instead. 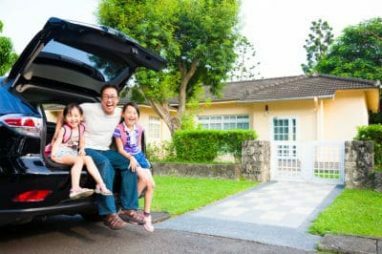 Renting a storage space for a car, boat or RV that you rarely use can cost anywhere from $50 to $300 a month or more depending on where you live! Unused vehicles also need insurance and the occasional maintenance. If you only use your RV or boat or extra car a few times a year, just imagine how much money you could save by getting it off your hands. On top of that, Wheels For Wishes also offers free towing and a great tax deduction. The best benefit of all is the knowledge that your unwanted car can help make a world of difference for kids in your community. We’re here to help with the entire process of donating your car. Call us anytime at 1-877-431-9474 or fill out our car donation form online. Our representatives will schedule your free vehicle pickup and help you with any questions you may have. All you have to do then is wait for your vehicle to be picked up at its scheduled time and save your tax deductible receipt when it arrives in the mail. After you’ve donated your car, spread the word about how you made a difference with the Make A Difference Day hashtag #mdday and be sure to use #wheelsforwishes too!